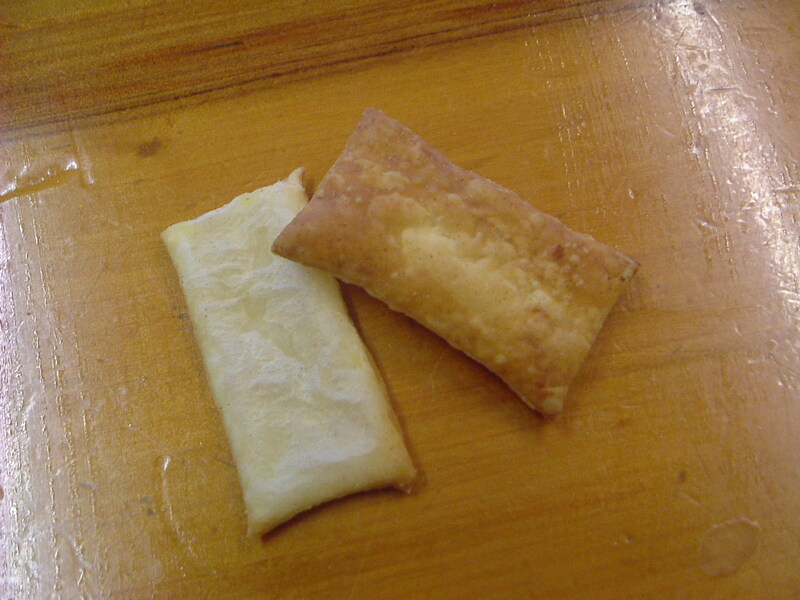 Take out puff-pastry – roll to flatten only. Bake for 10 mins or until risen and golden. 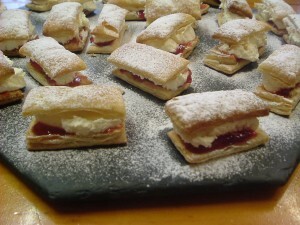 Remove from oven – slice open sideways, tipping tops to one side, return to oven for 2 mins to crisp soft pastry. When cool spread a little jam on the base of each one. Using a piping bag with insert but no piping nozzle, pipe along inside of top section. 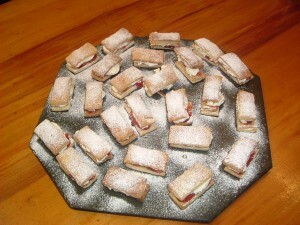 Finely dust with icing sugar when all completed.